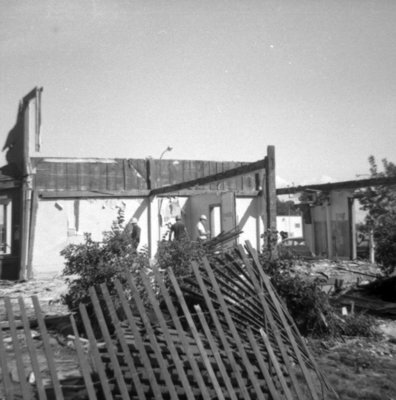 A black and white photograph of 201 Brock Street North being demolished on September 27, 1968. View is of the interior of the house. 201 Brock Street North, September 27, 1968, Brian Winter. Whitby Archives A2013_004_226.